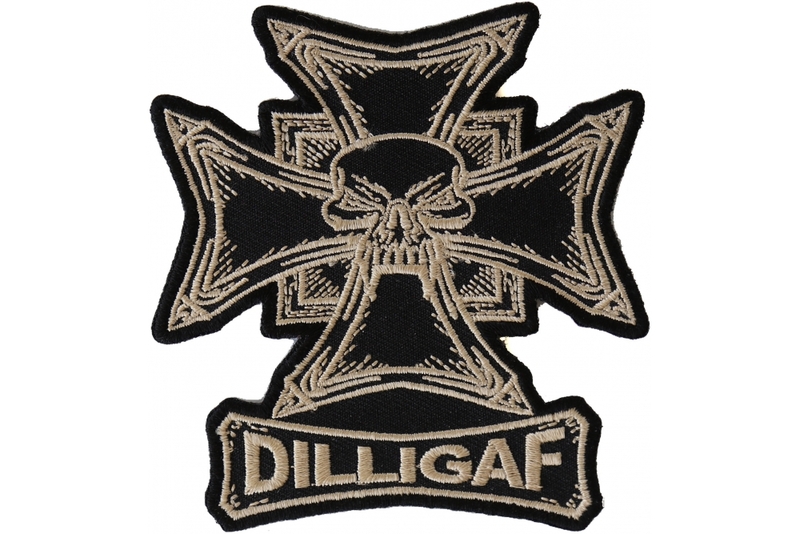 Dilligaf skull patch. Measures 3.5x4 inches. Can be ironed on.